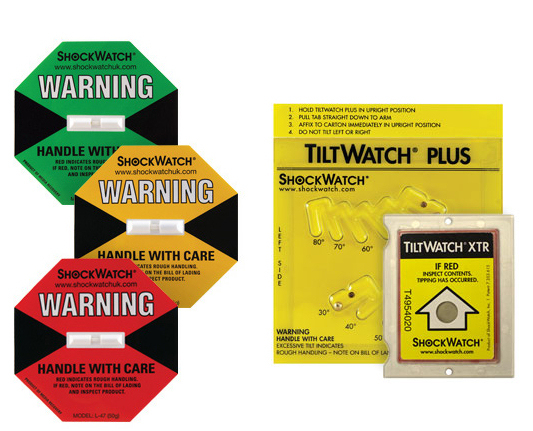 ShockWatch & TiltWatch labels provide you with the tools to help protect your product during delivery. For most manufacturers, it will be impossible to be with your product 100% of the journey to your customer. ShockWatch & TiltWatch labels are the next best thing. They will give a clear indication of how people will handle your product during delivery. And they will permanently record any unacceptable handling. A cost effective way of monitoring your product during delivery. A self adhesive backing, enables you to easily attach the label to the outer packaging. The product will be active for the complete length of the journey. A highly visible dye will be released into the device, once a predetermined level of handling has been exceeded. Printed handling directions communicate special handling conditions at a quick glance. For more information on the various products available, including temperature and environmental sensors, click here to visit the IMC dedicated website.